If you're like most of us, you have a surplus of used cell phones and chargers sitting in a drawer, collecting dust. You've thought about selling or even recycling them, but you know you'll end up throwing them into the trash during a Spring cleaning frenzy. But why doom them to a landfill, when you can get a real win-win? 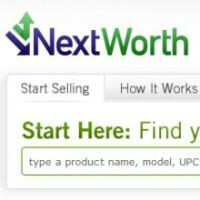 NextWorth is a company that will buy your old electronics, including cell phones, to either recycle or refurbish them. In exchange, they will pay you via check, PayPal, or a gift card from a participating retailer. When you sell your items online, you simply print out the prepaid shipping label, send your items, and wait for the payment mode of your choice. If you're looking for more instant gratification, you can also trade in your items at one of their retail partners, including Target and J&R Electronics. Unfortunately, those retail partners can only only offer you gift cards or store credit, rather than real folding-money. To give you a sense for their valuation, we'll offer a couple examples: a 32GB iPhone 4 fetches $379.71, a RIM BlackBerry Curve 9300 gets you $24, a Motorola DROID Pro will bring in $95, and a RIM BlackBerry Storm 9530 will get you $30.40. For newer, higher-value devices, we recommend you stick with Craigslist or eBay. But you might as well use NextWorth for your older devices, as they aren't likely to be reactivated.